A decision in this regard was taken at a meeting of the Executive Council (EC) of the institute in Delhi today. IIMC Director-General K G Suresh said the proposal was adopted "unanimously". IIMC Director-General K G Suresh said the proposal was adopted "unanimously"
New Delhi: The Central Civil Services Conduct (CCS) rules, which prohibit criticism of the government, will now be applicable on the faculty of the IIMC, according to the media school under the Ministry of Information and Broadcasting. A number of teachers, who did not wish to come on record, slammed the authority for going ahead with its plan despite their contention that imposing CCS rules would be an "assault on academic freedom". "The EC (Executive Council) today unanimously adopted our proposal. This is to end any ambiguity or discretion in administration of justice, and is aimed at greater transparency. It is being implemented in several universities including the Delhi University," the DG told PTI. However, DUTA (Delhi University Teachers' Association) President Nandita Narain said DU faculty do not come under CCS conduct rules. One of the clauses of the CCS Rules bars government servants from making any statement of fact or opinion which has the effect of an "adverse criticism of any current or recent policy or action" of the Central government or a state government. The State-run institute had set up a committee to deliberate on the issue. It recently recommended that wherever IIMC bylaws are silent, CCS rules should apply, which has now been accepted by the EC. During the deliberations, a few faculty members had placed their objection before the committee. Three JD(U) MPs had also raised the issue with I&B Minister Smriti Irani. 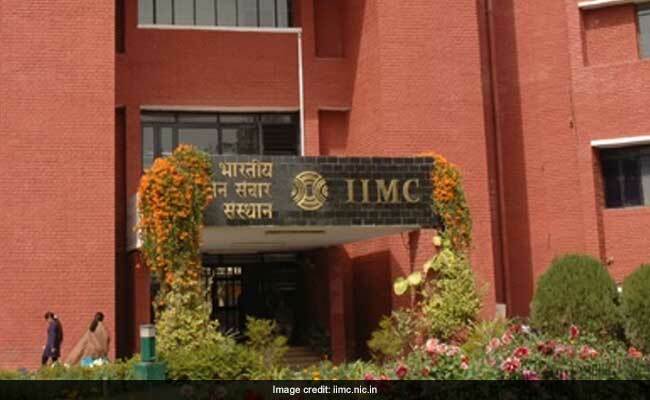 Mr Suresh, however, said the move will "empower" IIMC staff and faculty. The committee had brushed aside the teachers' contention regarding unconditional and absolute freedom saying that it cannot be accepted as the Constitution itself provided for reasonable restrictions on the fundamental right as enumerated in Article 19. It would be a "transparent contradiction" that teachers of journalism are not allowed to express their opinion and critique on public policy and other relevant social, political and economic issues in the media, a faculty member had said. The 14-member EC, IIMC's highest decision-making body, comprises the I&B Secretary, two academics, three senior journalists, three faculty members among others.